0:45 – What does the mental game mean to you? 3:08 – What separates the good from the great from a mental game perspective? 3:45 – How important is being able to accept criticism or failure? 6:07 – If you were a coach in today’s game (HS or College), what would you stress in the mental game if you had 10 minutes? 7:10 – How important is breathing; what does focusing on the breath do? 9:20 – How often should you practice breathing? 10:25 – How do you deal with a coach who is not supportive of the mental game? 12:00 – How important is keeping a journal? 13:10 – How important is confidence? 14:50 – Take the World Series for example… Are the players who are performing well better at handling pressure or are the struggling players just caving to pressure? 16:00 – How important is the pre-pitch routine? 18:03 – How important is body language? 19:10 – How important is knowing your players in terms of how to coach the mental game? 20:00 – What is the one thing you would tell a coach that is the most important thing to stress in terms of the mental game? 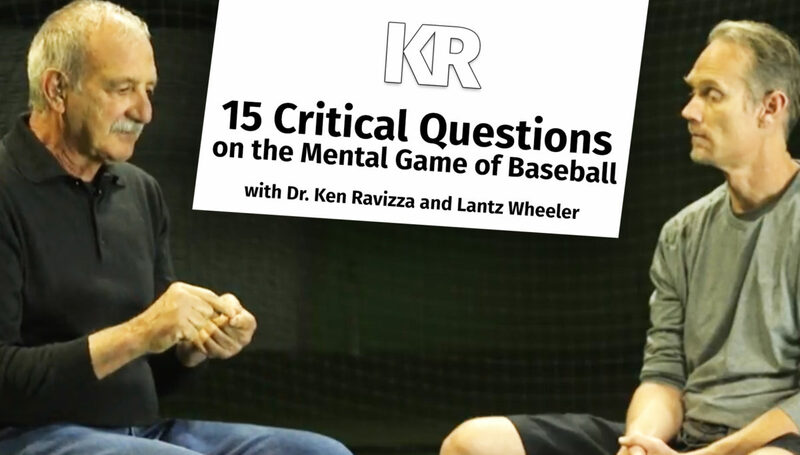 Click here for more baseball-specific training with Dr. Ken Ravizza.